Mallory Meilicke is delivering more hits than Elvis this spring. 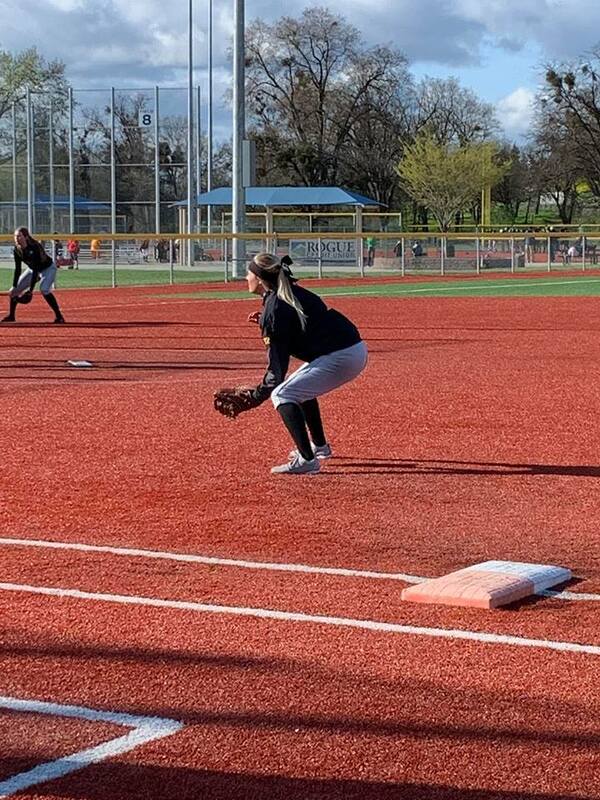 The senior first baseman added three hits and five RBIs to her season total to lead Cascade Christian to a 13-3 victory over Sutherlin in FWL softball- the league opener for 2019. Of course, to win, you must stop the other team from scoring. Katelyn Willard scattered three hits, struck out 10, and surrendered no earned runs on the day. The #1 in the Oregon 3A power ranking Challengers are now 9-1. Two of Meilicke’s hits were triples; the other a double. Rebecca Clark, Neha Joseph and Kara Palmer added two base raps each; Clark scored thrice, and Joseph and Palmer once.